Mertin Nissan | Blog | Check out our Nissan NV Commercial van line up! Check out our Nissan NV Commercial van line up! Did you know Nissan makes NV Commercial vans? 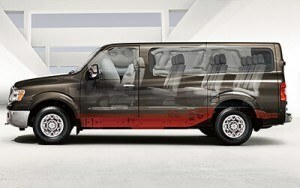 Starting with the compact NV200 in the mid 20’s price point, all the way to a passenger van for seating of 12 people! Or, a High Roof V8 Cargo Van!